First visit to Wafles & Dinges…Got it with ice cream and strawberries! 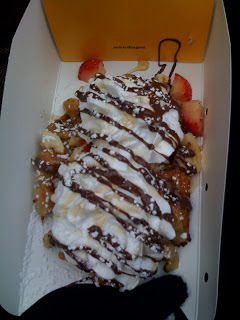 Wafles & Dinges is a famous NYC food truck. It was rated the #1 food truck in the NATION by a show on the Travel Channel and has been acknowledged by many media outlets such as MSNBC, the Daily News, The Today Show, The New York Times, New York Post, Fox’s Good Day New York, and many famous food blogs. 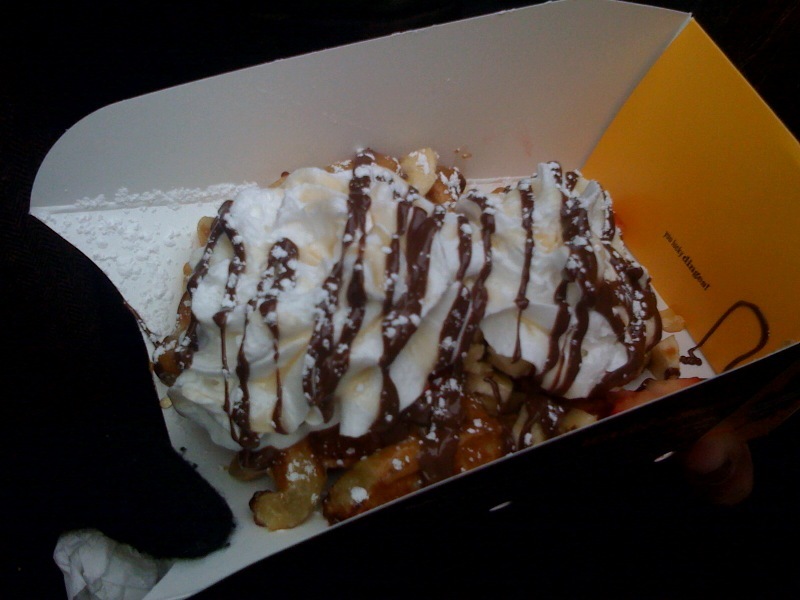 This truck is an authentic Belgian waffle dessert truck that goes all over New York City and they post their locations daily through Twitter so people can know where they will be parked. 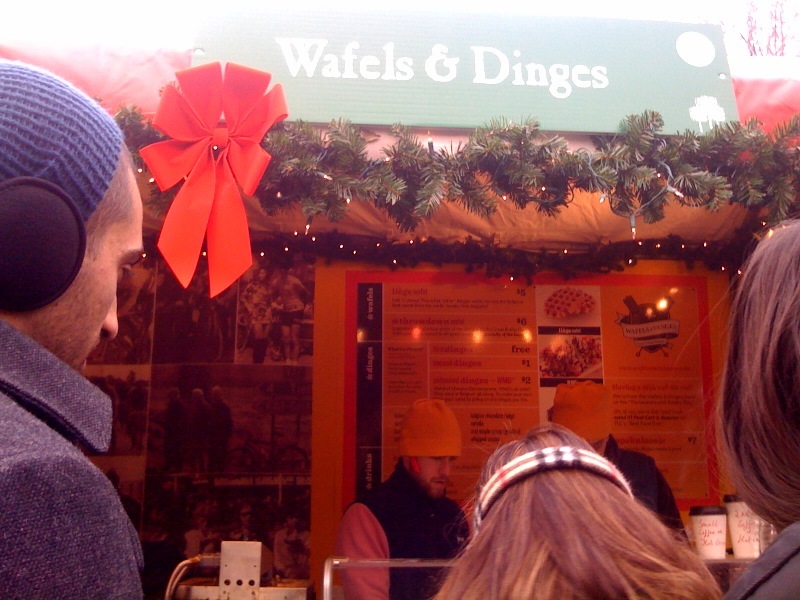 I’ve had Wafles & Dinges twice in New York, and I fell in love the second time I had it. I am not a big dessert person, but they have this spread called Spekuloos Spread, which is like Nutella but better. It looks like peanut butter but tastes like “Belgian gingerbread-cinnamon cookies”. Their Belgian waffles are made fresh on location, and they claim they do it the REAL and right way. The first waffle (that is pictured above with Spekuloos spread, fresh strawberries & bananas, whipped cream and chocolate syrup was the real deal…amazing!) The first time I tried this truck was in Central Park after I went ice skating, and the second time I had it was in the Union Square Market on Sunday during Christmas time. It’s really the perfect street dessert! So if you are ever in New York, look Wafel & Dinges up on Twitter to see their locations for that day, and make sure you get a waffle with their famous Spekuloos Spread! You won’t regret it. You can eat at this truck for breakfast, lunch, dinner, or dessert haha! Stay sweet 🙂 Till’ next time….